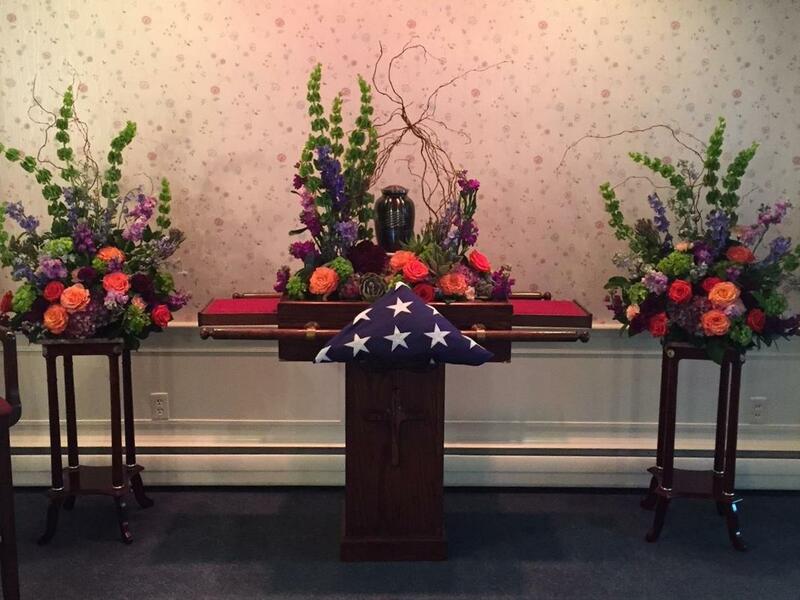 At Ludwick Funeral Homes Inc., we understand that each family is different. That is why we offer many different cremation options to meet your needs and preferences. We create a memorial experience that is tailored to you or your loved one’s personal tastes. Choosing cremation does not limit your choices with respect to services prior to the cremation. You may have heard that choosing cremation means you cannot have a traditional funeral service, but this is NOT true. A family still has the ability to add thoughtful, personal touches and memorial observances to honor and remember the person who has died. The major difference between a traditional funeral service and a service followed by a cremation is instead of processing to a cemetery after the service, the body would be taken to our crematory. Once the body is cremated, the cremated body may be buried in a cemetery, entombed in a mausoleum or columbarium, or returned to the family. We offer a wide selection of hardwood caskets specifically designed for cremation. However, it is not required that families purchase a casket for cremation. 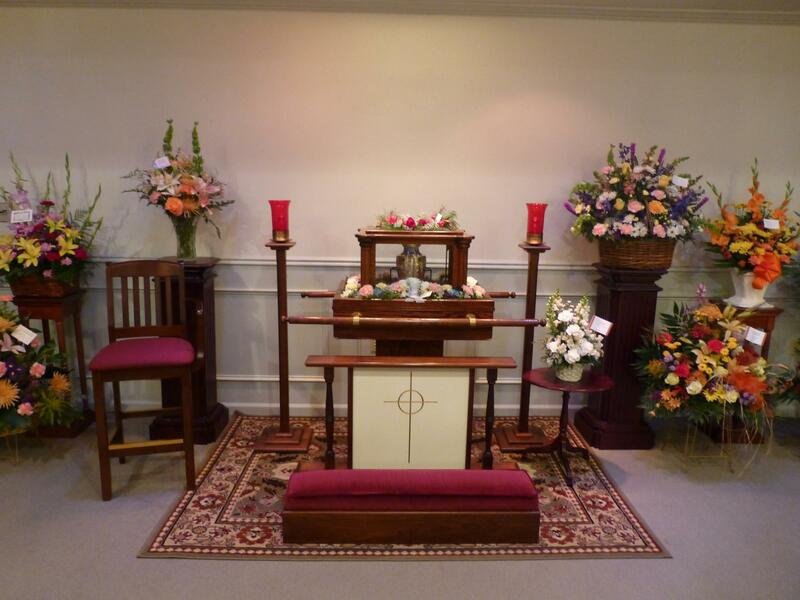 In these cases, we offer a rental casket, which is used for the visitation and funeral service. Choosing this option allows a family to have a public visitation, as they would for a traditional funeral service, prior to the cremation. It allows for family and friends to view the deceased before the cremation process takes place. After the cremation, a memorial service may be held at the funeral home, place of worship, or another location of the family’s choice. This service can take place the same week, a month, or even several months following the cremation. Many families choose to have a memorial service after the cremation to honor and remember their loved one. A memorial service can be a time for family and friends to come together to deal with their loss and share their grief. A memorial service, like a funeral, is a service of remembrance; however, the body of the deceased is not present. An urn, which holds the cremated body, can be selected and displayed in our Cremation Ark for the memorial service. The memorial service can be held at a place of worship, the funeral home or any other appropriate location. The Cremation Ark (Shown in picture) is also designed to carry the urn, allowing the use of pallbearers, much like a traditional funeral service. After the cremation has taken place, friends and family may gather to celebrate the deceased’s life at a graveside memorial service. With this option, the cremated body is present at the time of the service and can either be inurned in the ground or placed into a mausoleum, niche, or columbarium. Direct cremation does not involve any sort of formal rite or religious service. After identification of the deceased by the family and a legally required waiting period of twenty-four hours, the body is cremated. Each body is cremated separately and the cremated body is returned to the family. WHAT CAN BE DONE WITH THE CREMATED BODY? After the cremation takes place, there are decisions to be made about what to do with the cremated body, such as selecting an urn, an urn vault, cremation jewelry, or other cremation products, if the family chooses to do so. We offer a wide selection of urns and other cremation products for your consideration. There are a great variety of urns and other cremation products available today. There are other options as well. The cremated body can be buried in a cemetery or placed in a mausoleum, niche, or columbarium. Some cemeteries have special gardens where the cremated body may be scattered. Sometimes, families choose to have their loved one incorporated into an Eternal Reef or sent into space orbit through Celestis Company. Many families, who select these options, choose to have a service at that time. Eternal Reefs, Inc. creates permanent living legacies that memorialize the passing of a loved one. For families and individuals that choose cremation, Eternal Reefs offers a new memorial choice that replaces cremation urns and ash scattering with a permanent environmental living legacy. Families and friends are invited and encouraged to participate in the creation of their loved one’s memorial reef. 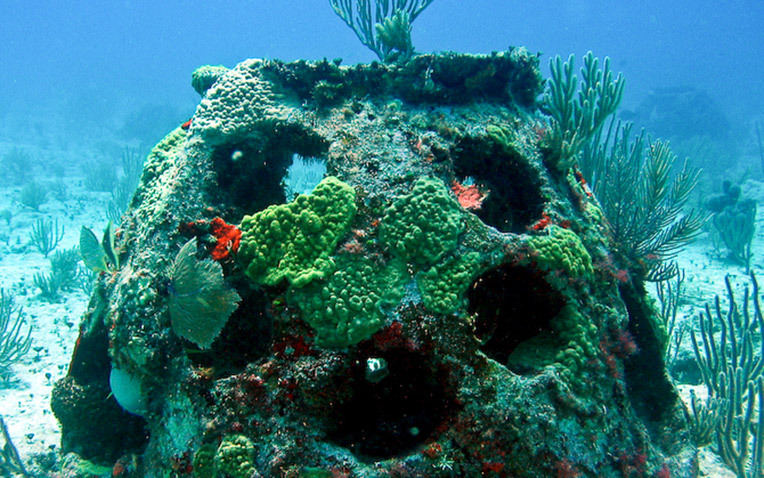 From placing your handprint in the damp concrete during the casting, making a rubbing of the bronze plaque during the viewing ceremony, or placing a flag on your loved one’s memorial reef during our military honors ceremony, all Eternal Reefs’ activities provide peace of mind for everyone involved. Please visit www.eternalreefs.com for more information. Leaving Earth to touch the cosmos is an experience few have ever known, but many have often dreamed of. Celestis makes it possible to honor the dream and memory of your departed loved one by launching a symbolic portion of cremated remains into Earth orbit, onto the lunar surface or into deep space. Missions into space that return the cremated remains to Earth are also available. Please visit www.celestis.com for more information. Ludwick Funeral Homes, Inc., requires that ALL human remains be positively identified in the funeral home, family residence, or nursing home facility prior to the cremation process. We also invite all families to join us to our crematory to witness the cremation process. We are financially partnered with Lehigh Valley Crematory Services, Inc., and your loved one never leaves the care of a Licensed Funeral Director or Certified Crematory Operator. If you have questions, or would like additional information regarding our cremation services, please feel free to contact us at any time.